Low medical costs and commercial customer growth helped boost Cigna Corp.'s bottom line in the third quarter of 2018. The Bloomfield, Conn.-based insurer, whose merger with pharmacy benefit manager Express Scripts received Justice Department approval in September, said each of its business segments performed well and touted the merger as a way to bring even more value to customers. "Through our combination with Express Scripts, we will accelerate our ability to improve affordability and choice, expand our distribution reach and addressable markets and further strengthen predictability for our customers, clients and partners," Cigna CEO David Cordani told investment analysts on Thursday. He also said the combined company aims to keep medical cost growth in line with the Consumer Price Index by 2021, which Cordani said is "a level we believe is sustainable for society." Along with the Justice Department's approval, Cigna has obtained 23 state approvals for the Express Scripts merger. It still needs six more state approvals but expects to seal the deal by the end of the year. 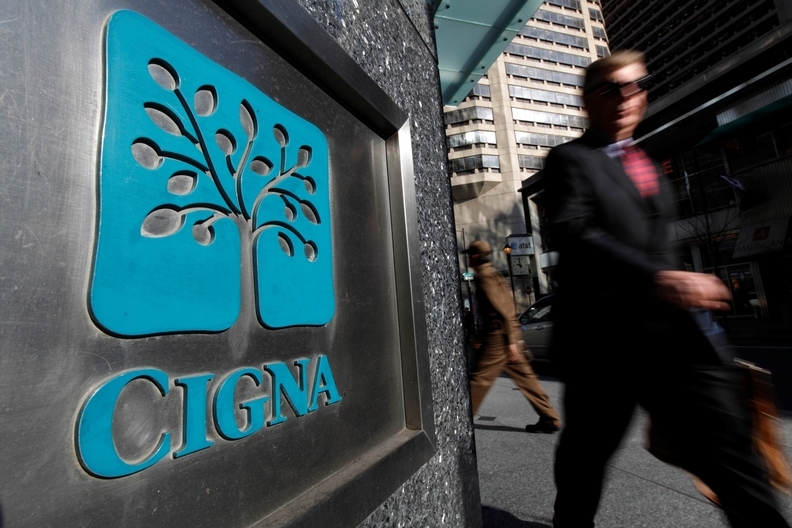 For the third quarter, Cigna said it delivered a combined medical loss ratio of 77.5%, compared with 79.0% in the same quarter a year ago. The medical loss ratio represents the amount of premiums spent on medical claims and quality improvement activities. The low MLR reflected Cigna's ability to manage medical costs in its commercial business and better-than-expected results in its individual business, it said. The insurer's individual membership grew by 13.6% to 360,000 people over the third-quarter 2017. That includes 310,000 Affordable Care Act exchange members. The margins in Cigna's individual business were better than expected in 2018 but will fall more in line with expectations in 2019, Cordani explains. Cordani noted that the individual exchange business will be more competitive than in previous years as more insurers enter the market. Cigna's total commercial membership, including employer groups and individuals, grew 3.3% year over year to 15.9 million. Membership in its government business, which includes Medicare and Medicaid plans, was flat at 485,000. In total, medical membership across all segments was 16.3 million, up 2.9% from the same period in 2017. Cigna's third-quarter revenue increased 9.2% year over year to $11.5 billion in the third quarter. It recorded net income of $744 million, up 37.7% from the year-ago period.